Reaching out to and guiding couples in cohabitation with tenderness and compassion is essential to promoting and defending the sanctity of marriage, Pope Francis said. Couples who have chosen to live together without getting married in the church “are, in spiritual and moral terms, among the poor and the least, toward whom the church, in the footsteps of her teacher and Lord, wants to be a mother who doesn’t abandon, but who draws near and cares for,” he said in an audience with parish priests. The pope spoke to parish priests who were in Rome attending a course on marriage preparation and the new rules to reform the process for verifying the validity of a marriage. The parish is, in fact, “the place, par excellence, of the salvation of souls,” he said. The parish priest is the one who is acutely aware of the social realities of the local culture and the complexities of individual situations: couples married in the church; common-law unions; civil unions; failed unions; and happy and unhappy families and young people, he said. The priest, he said, is the one young people turn to when seeking to be married in the church and whom married couples experiencing difficulties may turn to for help “to rekindle the faith and rediscover the grace of the sacrament” or to ask about an annulment. 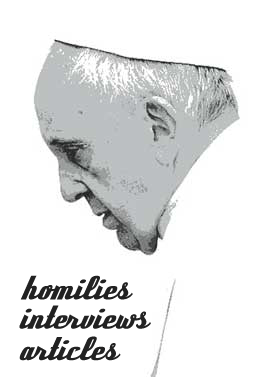 “For every person and every situation, you are called to be ‘fellow travellers’ to give witness and support,” he said. “I am convinced that a real catechumenate is needed for the sacrament of marriage” that is in-depth and long-term, he said. He said he believed the biggest challenge to overcome may be the way people think and see marriage as “a social reality” and not a true sacrament that requires lengthy preparation. While constantly upholding the “great mystery” and sacred nature of marriage, also take care of those who have come to realize they are not in a valid union and want to remedy their situation, the pope said.